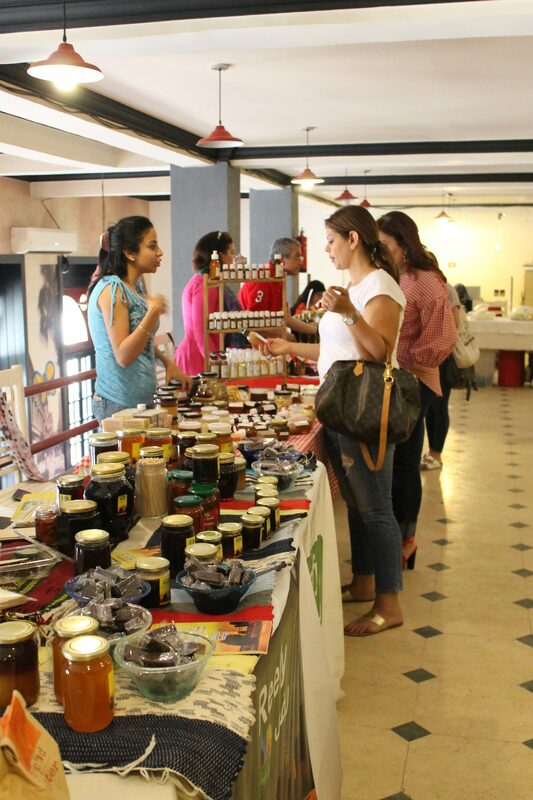 In 2016, our Slow Food Cairo convivium began a partnership with Eish & Malh, a restaurant in downtown Cairo located on one of the most famous streets of the capital. Eish & Malh which translates into Bread & Salt, is an Egyptian idiom meaning: we are now friends because we had a meal together. The restaurant is open for breakfast, lunch and dinner and proudly offers modern Italian cuisine. Its owners, Slow Food Cairo members in their own right, agreed to host a market every first Friday of the month to support Slow Food artisanal vendors and their products, to promote local seasonal foods and to help Slow Food Cairo educate customers on the farm to fork program which showcases where our local food comes from. Vendors are chosen carefully according to Slow Food guidelines and their number has almost tripled since we held our first Slowdowntown Earth market in 2016. All of our vendors agree with and support Slow Food values of good, fair and clean. 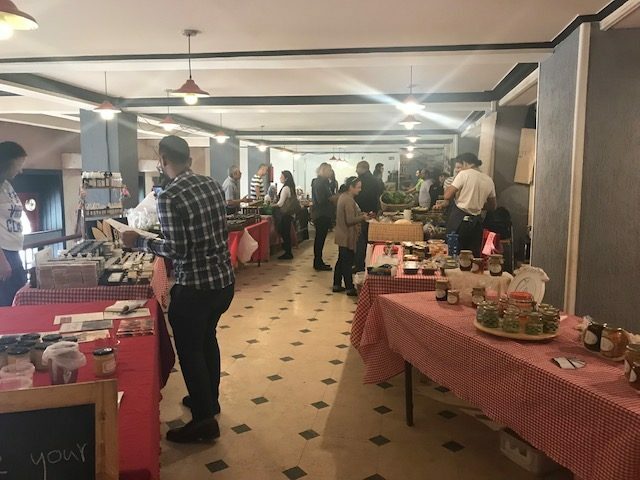 The chefs at Eish & Malh create a special menu for every Slowdowntown, and source most of the ingredients from the same Slow Food vendors who exhibit on that Friday, thus giving their clients the opportunity to taste and savor the produce before buying. Slowdowntown is enhanced by a marionette show for children- and children at heart- that focuses on farm to fork stories. This monthly event has become quite famous among the downtown clientele as well as the many customers who come from far and wide to buy, eat and enjoy. The many new faces each month are encouraging and exciting, but the myriad return customers are the greatest satisfaction for vendors and restaurant owners alike. Slow Food Cairo Convivium is proud of Slowdowntown. We are working closely with the Slow Food Chefs’ Alliance to replicate the success and partner with more restaurants in and around the city as well as in other convivia in Egypt.